I recently discovered, to my delight, that wasted food isn’t a subject only cranky bloggers (ahem) find interesting. It seems that Ted Lee, the bespectacled half of the Lee Brothers’ Boiled Peanut empire (and catalogue), thinks about minimizing food waste fairly often. He was kind enough to speak with me about the topic. Are you one of those people who never eats leftovers or are you a Tupperware guy? What about Matt? We ALWAYS have leftovers and often consume them with more excitement than we did the freshly-prepared servings! We simply don’t understand people who perceive leftovers are somehow a lesser affair—these people are missing out on really super taste-experiences. The truth is that the leftovers of many, many foods–from pimento cheese to gumbo to squash casserole to fried apples–often taste better when the flavors have had the chance to develop and meld in the refrigerator. For this reason, we often cook expressly with the intention of creating leftovers for the next day. If the latter, what do you find works best the next day (or after)? 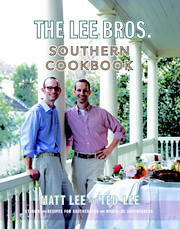 We’re such Tupperware fiends that our cookbook, The Lee Bros. Southern Cookbook, includes a short-hand code, “KLO” (meaning “killer leftover”)–ideas for creative things you can do with leftovers of a recipe. For example, following our recipe for Red-Rice you’ll find a KLO-recipe for Red-Rice Omelettes, inspired by the Red-Rice Omelettes we eat at the Hominy Grill (in our hometown, Charleston, S.C., but helmed by N.C.-native Robert Stehling!). Perfect brunch dish. Another KLO example is our recipe for collard greens, which can be applied to any simmered green. The next day you can reheat leftover greens and cooking liquid (add your favorite broth if you’ve got more greens than liquid). Poach eggs in the greens and broth. It makes a hearty soup that’s superb for lunch with buttered toast. I’m hungry just thinking about it! Do you have any tips for avoiding food waste? Make killer leftovers! You’ll be more likely to do so if 1) you have good-quality Tupperware and/or food storage bags in a variety of sizes, and 2) if you use Sharpie markers and label what’s in the container and the day it was made–whenever someone in the house is uncertain about how old a leftover is, they’re more likely to assume it’s ancient and throw it out! 3) Make use of your freezer as often as possible, make it alive and happening, and part of your everyday meals. Matt and I are also very keen on eliminating food waste during the preparation of food. Many home cooks toss out shrimp and crab shells, bones, the leafy tops of celery, onion trimmings. Don’t! They make really flavorful broths that become the foundation for sauces and soups. There’s rarely any leftover food at our cooking demonstrations of course! But on the occasions there is, we always encourage the staff at the demo to pack it up and take it home; or we get someone on the staff to commit to serving it the next day for a staff meal. Fortunately, most of the places where we do demos have passionate food-people among the staff, and they make sure nothing goes to waste! Everybody seems to have a story about a parent making them finish their lima beans or a grandma using every scrap of food in the house. 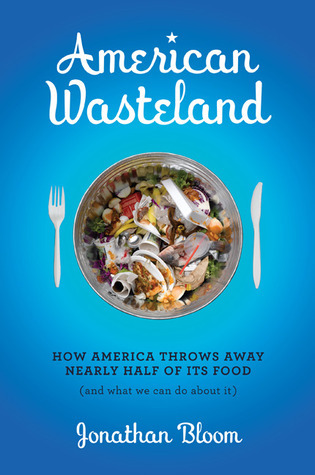 Was there anyone in your family who was passionate about not wasting food? If so, did it rub off on you? Our Grandma Lee, who lived in upstate, New York, was fanatic about not wasting food. She grew up during the Depression, she canned everything from her garden, and was really a role model for us. On a less serious note, what would you do if you saw someone throwing away some of your Frogmore Stew or Red Velvet Cake? I’d make them fish it out of the trash can and eat it! Great interviews and great tips on making killer leftovers! Funny how Depression era grandparents are way more sensible about things than we are. True, you really can’t beat grandparents for thrift. I wonder how much that’ll change as more and more Boomers become grandparents. Do you have any KLO’s you’d want to share?